Anyone with a copy of Call of Duty: Black Ops 4 can access the game’s Black Ops Pass DLC maps free for the entire weekend. All Black Ops 4 players get free access to all four current Black Ops Pass Multiplayer maps: Elevation, Madagascar, Casino, and Lockup! To celebrate, we’re also turning on 2XP in Multiplayer, 2XP in Zombies, 2X Merits in Blackout, and 2X Tier Progression for players on all platforms this weekend. Grab your friends, jump in, and rank up. 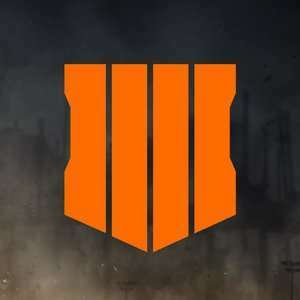 The Black Ops Pass currently includes four maps (Elevation, Madagascar, Casino, Lockup), all of which are available only to pass holders in Call of Duty: Black Ops 4. But, for a limited time, everyone will be able to play them without the need for the pass. This DLC free access event kicks off today on all platforms,starting 10am PT, 1pm ET, 5pm UK. To celebrate, Treyarch is also activating double XP in multiplayer, and Zombies. In Blackout, players will be able to earn Merits twice as fast, and the same goes for tier progression in the Black Market. The Shamrock and Awe event is on track to kick off next week on PC, and Xbox One. 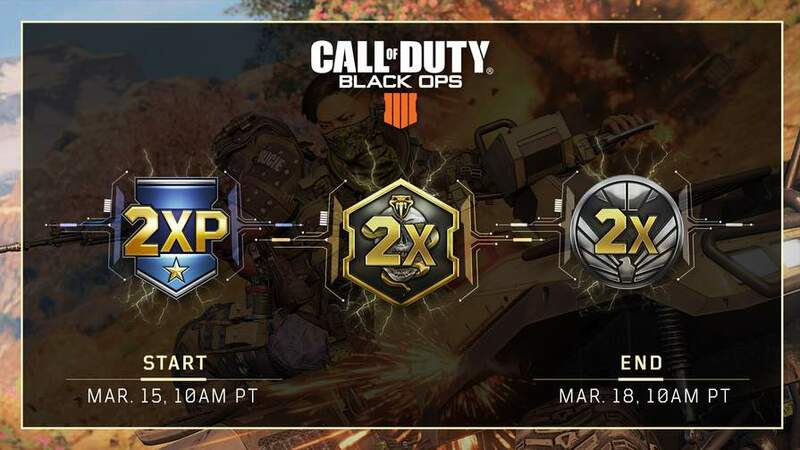 The free DLC event, as well as the rest of the double XP bonuses all end on Monday, March 18 at the same times above. Click on this link reddit.com/r/B…lc/ to view more information. Because as ever COD dlc maps hardly get chosen in playlists and split the player base. I think they should eventually after say 12 months or so just make them free to everyone, especially when the next COD goes live. Which would be annoying to early adopters who paid full price.EA do this. …Which would be annoying to early adopters who paid full price.EA do this. It’s a joke. You're joking right? Making DLC free after a certain period of time is great. I've bought almost every season pass for CoD and can't play the DLC on most of them these days. Why would people be annoyed if it means the game will have shorter search times, better connection and help the game stay populated for longer? Because as ever COD dlc maps hardly get chosen in playlists and split the …Because as ever COD dlc maps hardly get chosen in playlists and split the player base. I think they should eventually after say 12 months or so just make them free to everyone, especially when the next COD goes live. Which would be annoying to early adopters who paid full price. EA do this. It’s a joke. You're joking right? Making DLC free after a certain period of time is …You're joking right? Making DLC free after a certain period of time is great. I've bought almost every season pass for CoD and can't play the DLC on most of them these days. Why would people be annoyed if it means the game will have shorter search times, better connection and help the game stay populated for longer? dlc should be free if they are including transactions in game they can't have it both ways. least over watch and now bf5 follow this route. dlc should be free if they are including transactions in game they can't …dlc should be free if they are including transactions in game they can't have it both ways. least over watch and now bf5 follow this route. I remember playing sonic the hedgehog and mario, once you bought the game you owned it once you completed it you played again or changed cartridge now a days you buy a game and only get a snippet unless you are willing to pay double then micro transactions on top of that! Its daft. I remember playing sonic the hedgehog and mario, once you bought the game …I remember playing sonic the hedgehog and mario, once you bought the game you owned it once you completed it you played again or changed cartridge now a days you buy a game and only get a snippet unless you are willing to pay double then micro transactions on top of that! Its daft. There are obviously benefits to server population with free DLC. I think what I neglected to mention is when the likes of EA heavily discount / give away DLC when not all parts have been released, that’s a kick in the backside. I learnt my lesson buying the Star Wars Battlefront season pass, I know just not to bother with EA titles and respective DLC. I think a compromise would be allowing all players access to DLC maps after a while but them still needing to pay a small amount should they wish to access the extra elements such as zombies DLC etc.